A Beginners Guide To Tensorflow - What Is The Big Deal? 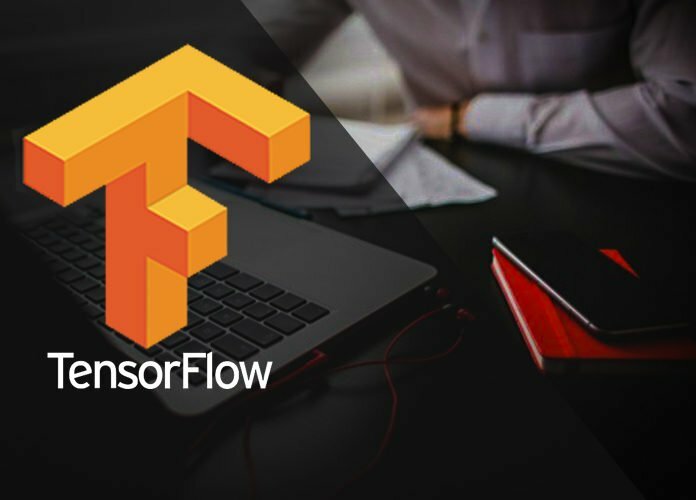 Home Software Development A Beginners Guide To Tensorflow – What Is The Big Deal? A Beginners Guide To Tensorflow – What Is The Big Deal? TensorFlow is a machine learning platform developed by Google. It was originally created by the Google Brain Team for machine learning and deep neural networks research. However, since then the software has evolved to be applicable in a variety of other general domains. In fact, most Google products implement TensorFlow in some capacity or other, including for things such as image search, image captioning, translation, recommendation, etc. Google utilizes TensorFlow to make sense on their huge data set to get their users the best experience they can. While TensorFlow was developed as proprietary software, Google eventually decided to make the software open source so that people can take advantage of it. Machine learning used to be very complicated; however, modern programs such as TensorFlow make implementing machine learning models quite easier. TensorFlow helps in acquiring data, training models, serving predictions, and even in refining future results. It is basically a tool which makes it easier for engineers and developers to translate new approaches to artificial intelligence into a practical code, something that Google has taken advantage of wholeheartedly. Voice/Sound Recognition – to identify and categorize various sounds and or voice commands. This includes Voice recognition, Voice search, Sentiment Analysis, and Flaw Detection. Text Based Applications – here TensorFlow is primarily used for sentimental analysis, Threat Detection and Fraud Detection. It is also used for language detection and translation, Text Summarization, and AutoReply. Image Recognition – to identify and categorize image, including but not limited to recognize and identify people and objects in images as well as understanding the content and context. It can also be used to identify shapes for modeling purposes and to spot patterns. Time Series – to analyze time series data in order to extract meaningful statistics, as well as to forecast non-specific time periods and to generate alternative versions of the time series. The most common use case for Time Series is Recommendation. Video Detection – to identify, analyze and classify videos. Primary implementation is in Motion Detection, Real-Time Thread Detection in Gaming, Security, Airports and UX/UI fields. Graphs – one of the major benefits of Tensorflow is the fact that it provides better computational graph visualizations. These really make it easier to see the data flow in one image to follow the tasks. Library Management – As Tensorflow is backed by Google, it has a much larger library and a better library management system. It also has a seamless performance, quick updates and frequent new releases with new features. Flexibility – Tensorflow is highly flexible in the way it allows you to showcase the data. It provides multiple models or versions of the same model simultaneously so that you utilize the data in whatever manner is best suitable for you. You can also use some parts individually or can use all the parts together, as the architecture of the software is very modular. TensorFlow also facilitates non-automatic migration to new models/versions, A/B testing experimental models, as well as canarying new models. Scalability – TensorFlow runs of GPUs, CPUs, desktops, servers, and mobile computing platforms, thus making it easier to run on any kind of device, whether that is a desktop computer, a laptop, or even on a smart phone, making it highly portable to use. Faster – TensorFlow can be used to train and serve models in live mode to real customers. It’s possible to do this as it does not require one to keep rewriting code, thus allowing one to implement their ideas to products faster. Auto Differentiation – TensorFlow has automatic differentiation capabilities. The benefit of this is that gradient based machine learning algorithms can define the computational architecture of the predictive model, combine it with the objective function and add data to it with TensorFlow automatically monitoring it all. Performance – TensorFlow implements advanced support for threads, asynchronous computation, and queues, thus having a much improved performance and functions over other software. It also has multiple language options in which to execute your computational graph. Debugging – Tensorflow allows one to execute subparts of a graph. This allows for the introduction and retrieval of discrete data onto an edge, which results in a great debugging method. Pipelining – TensorFLow is highly parallel and is specifically designed to use various backends software, such as GPU, ASIC, etc. The benefits of Tensorflow are such that Google has effectively leveraged the software for their company to build on. Since Google released Tensorflow to the public, it has already become the leading software among programmers who aim at building new things with machine learning. Google is also leveraging the software to build up sales for its other products. While a programmer can store their program on any cloud infrastructure, Tensorflow does make it much easier to save and work with Google’s own cloud services, hence leading to a boost in their own sales, which is just smart business. Still, like all products Tensorflow is not without its critics. Many people out there are not satisfied with Tensorflow or are at least dissatisfied with its limitations. Overkill – One of the primary complains of Tensorflow is that it is too powerful. While it is great for deep learning, especially with its powerful library, it is often considered to be overkill for simpler and direct tasks. Steep learning curve – Due to the fact that it has a multitude of features, it can have a much steeper learning curve than other of the other programs out there, especially for someone who is just getting into machine learning and wants to start off with simpler tasks. No Symbolic Loops – TensorFlow does not incorporate symbolic loops, which are generally required when it comes to variable length sequences. Still one can work around this using finite unfolding (bucketing). No Windows Support – TensorFlow does not offer Windows Support or at least has very limited Windows Support. It primary support is for Linux, which not everyone might be comfortable with. However, one can install it within a conda environment or using the python package library, pip, to use it within Windows. Computation Speed – When compared to some of the other competitors on the market, TensorFlow lags a bit in terms of speed and usage. While the difference is not that much, it does have an impact on smaller tasks, as well as larger tasks. Limited GPU support – Currently, TensorFlow only supports GPUs that are of NVIDIA and the only full language support is of Python, which not everyone might is comfortable with. It ignores other languages in deep learning, such as Lua. Regardless of these limitations, there is still no denying that Tensorflow is one of the leading software for developers working on machine learning. Tensorflow has proved itself time after time again, and that is only one of reasons why it is so popular in the community. These limitations might even be addressed in future updates. Add to this the fact that machine learning is a constantly growing, with even non-traditional technical fields showing interest in it. All industries are vested in the growth of machine learning and testing how to implement it for their own benefits. This means that machine learning is only going to grow with Tensorflow leading the charge. Previous articleGame Development Future – How DevOps Is Changing it!